This product is a kind of irregular structure thermoelastomer without any crystals. 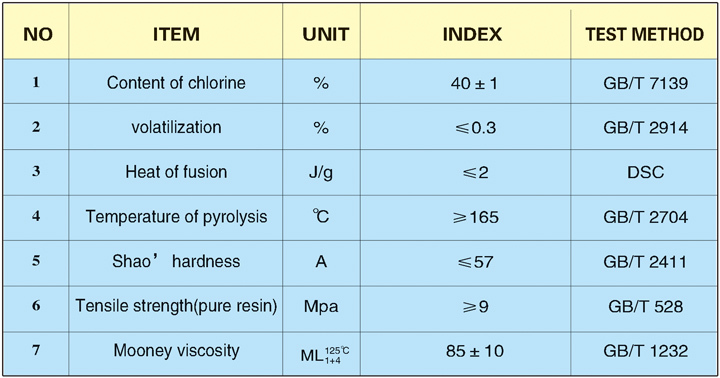 It has excellent comprehensive physical properties such as high tensile strength, fine tear-resistance, fine fire-resistance, fine oil-resistance etc. It can be blended with CR,NBR at any proportion. This product can be used as synthetic rubber, as well as modifying agent synthetic rubber. 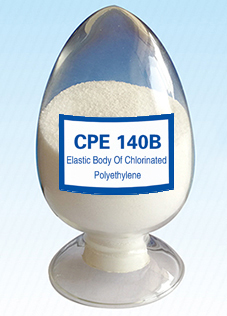 CPE 140B +CR+ cross-linking agent +other additive.manufacture kinds of wire sleeve, converyer belt, automobile rubber pipe and V-belt，etc.